This statistic represents respondents' answers to a survey related to the presence of books at home during their childhood in France. 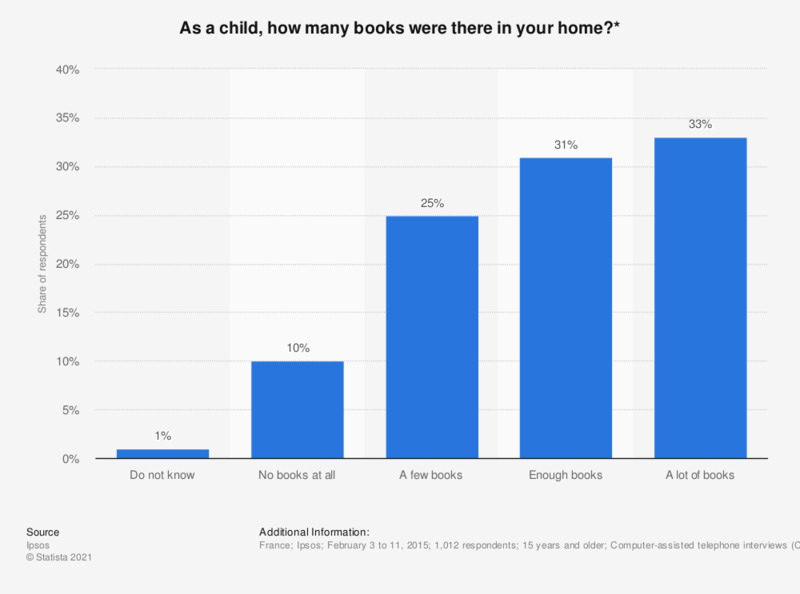 It reveals that one third of respondents had a lot of books in their home when they were young. * This question was phrased by the source as follows, "As a child, were there a lot, enough, a few or no books at all in your home?"